They may find themselves in new quarters this school year but the tradition of caring is deep at St. John Child Development Center in Paris. 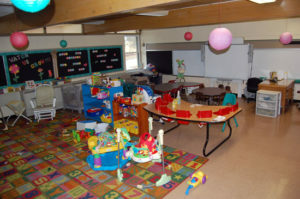 The center, located at St. John the Baptist Church, provides infant care, day care and preschool. 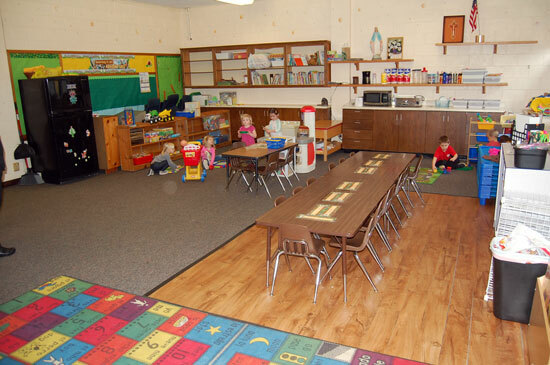 The center provides before and after school care for Paris School and Brighton School. Ages are 6 weeks to 12 yeas old. Hours are 6 a.m. to 6 p.m. 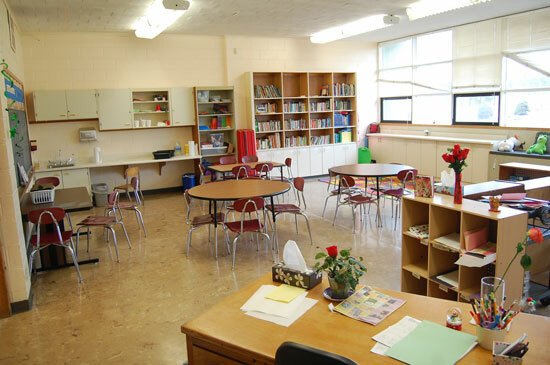 This school year, the center moved into new quarters in the parish’s former school building. The new location provides more space, better accessibility and a ready-made school like physical atmosphere, said director Heidi Keen. The center had its start in the late 1990s, when a need for daycare in the community was recognized. As the school building was then being used, the founders of the daycare center put their program in the parish’s convent building. That required a total makeover of the interior, but a team did the work and even received a $9,000 grant to help cover the costs. The center has weathered some changes in who was operating it as Catholic education changed through the years, but the center is again under the direct operation of the local parish leadership, Keen said. “It’s important that it is local,” Keen said. Children are kept busy with constructive activities at St. John Child Development Center. Besides the former school indoor space, there are outside play and activity space, Keen said. Programs like gardening in summer, an art program, a painting workshop, a magic workshop are all part of the St. John Child Development Center experience. Smaller numbers mean children get more personalized attention, Keen said. “It’s almost like a family atmosphere,” Jaworski said. Enrollment is growing, but there is still some availability. The staff welcomes visits to check out the program and facility. “Call for a tour anytime,” Keen said. For more information or to arrange a tour call Heidi Keen at (262) 859-0068 or by email at stjohnchilddev@gmail.com.